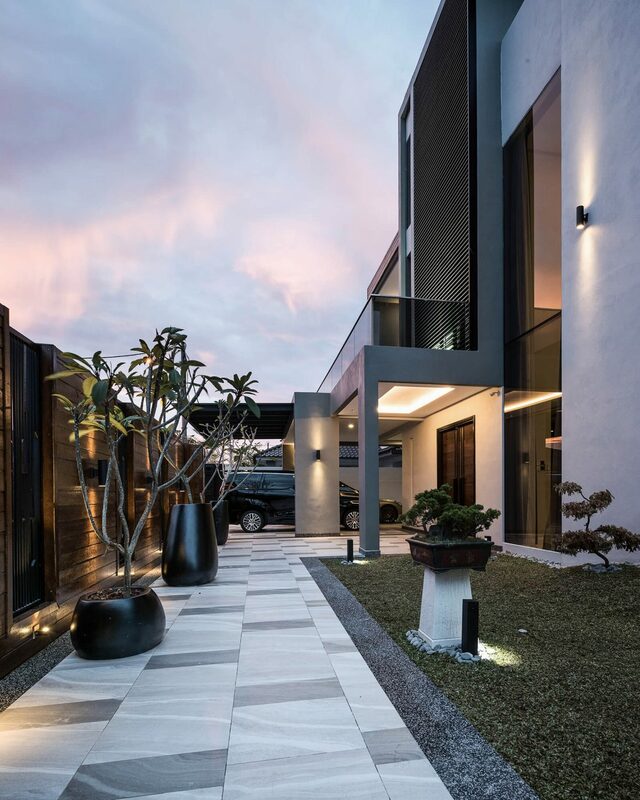 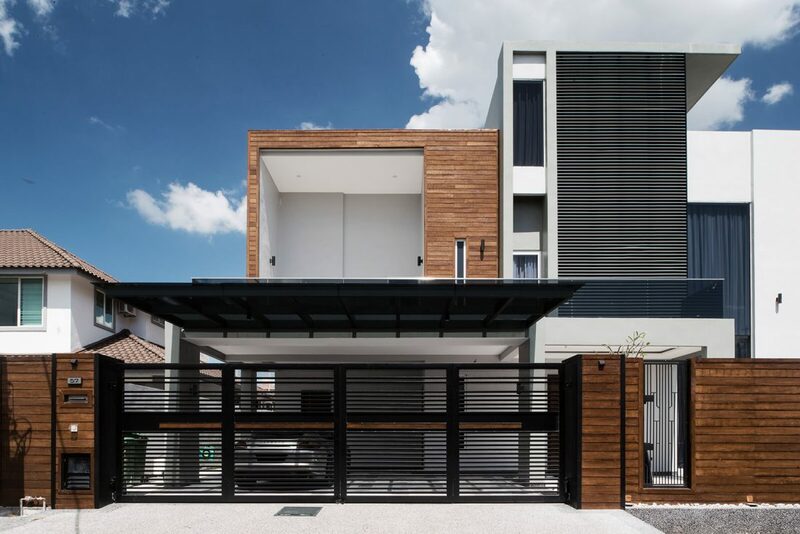 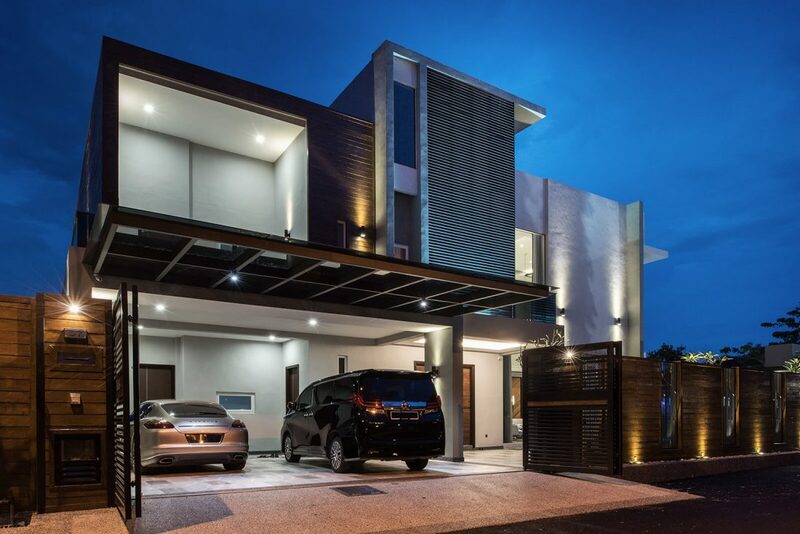 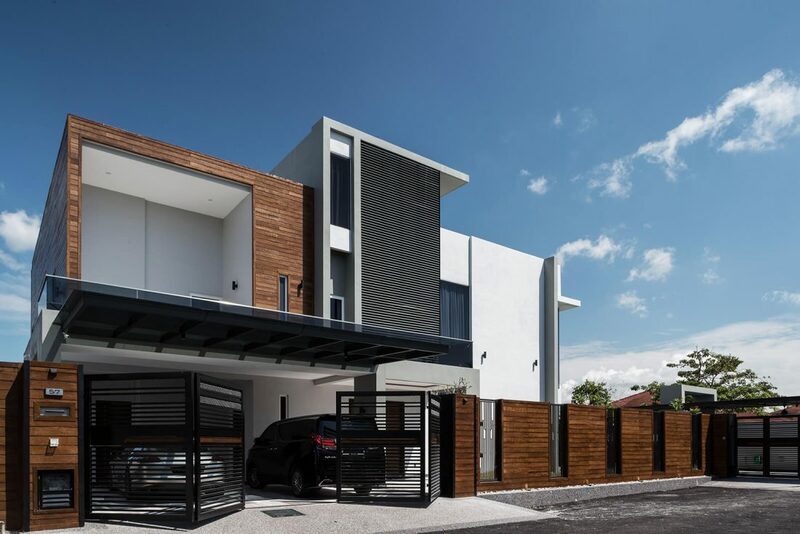 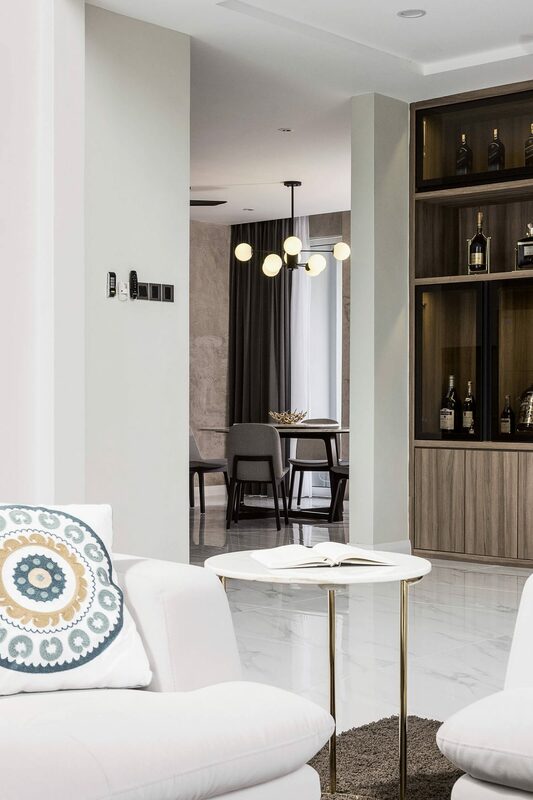 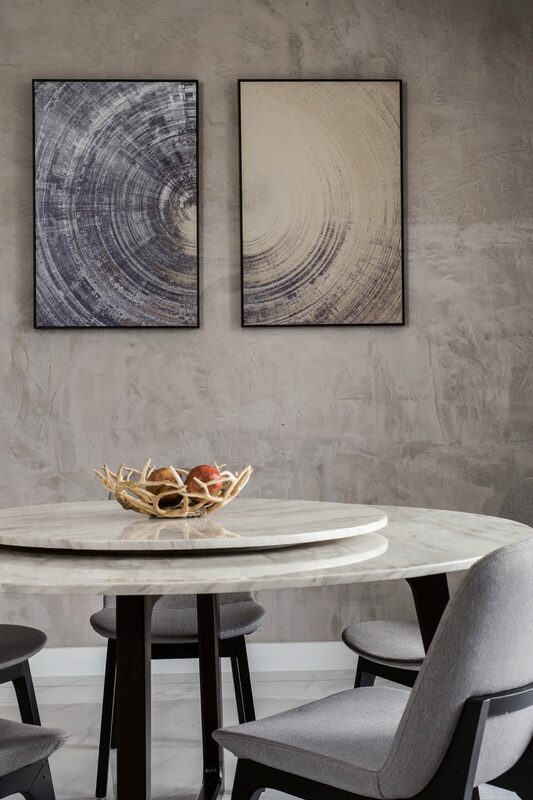 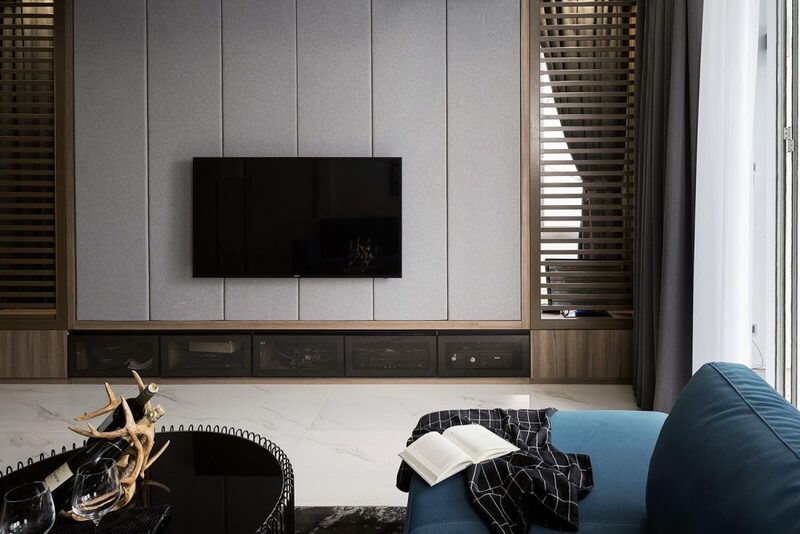 It’s no secret that Alor Setar is a sought-after area, which is why the owner decided to completely remodeled the existing house into a spacious and grandeur master piece. 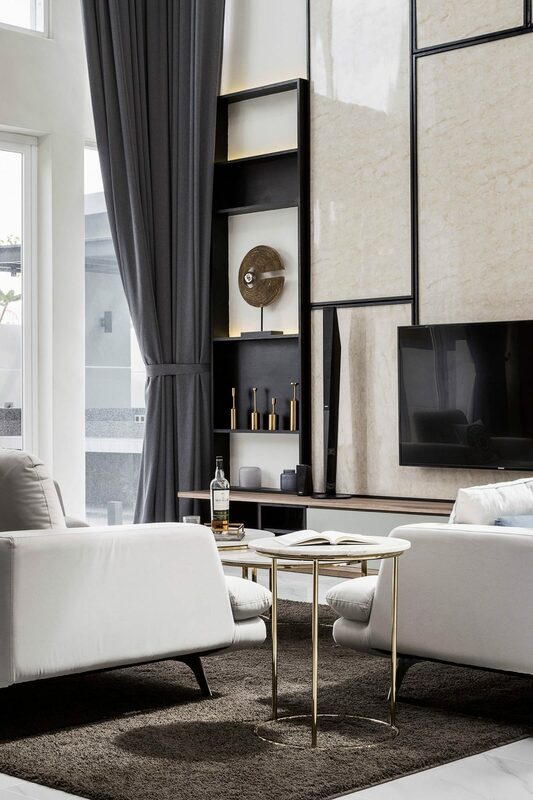 By stripping down the original structure, this has presented an opportunity to open up the interior with a double volume living area which leads to the private spaces. 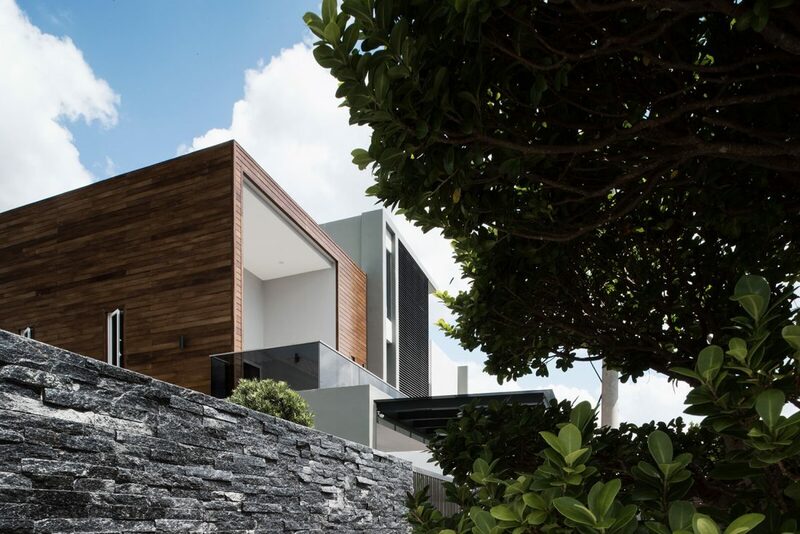 The exterior, wood stripe cladding and tonal tiling was added to invite a sense of detail influence into the home. 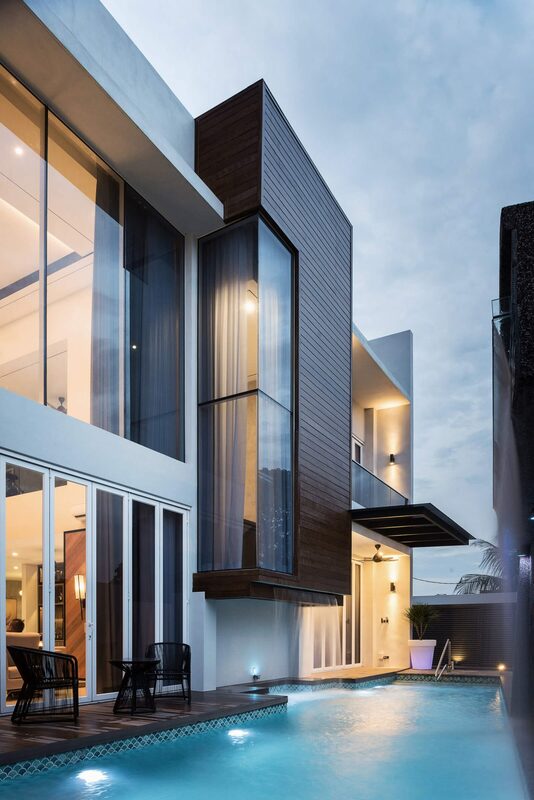 A minimalist aesthetic and design was applied, this is exemplified by the cantilevered water feature along the staircase from the first floor. 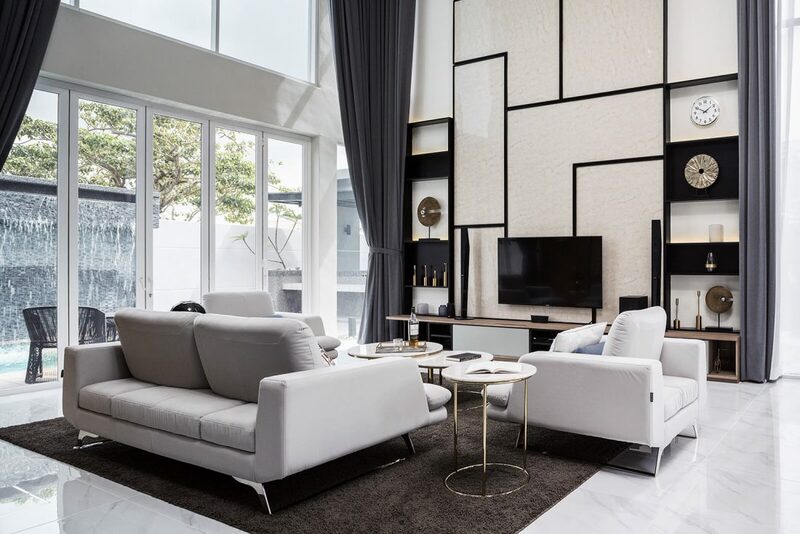 From the colors to the materials used, contrast is employed on a number of levels to help add access to natural light, texture, and subtlety. 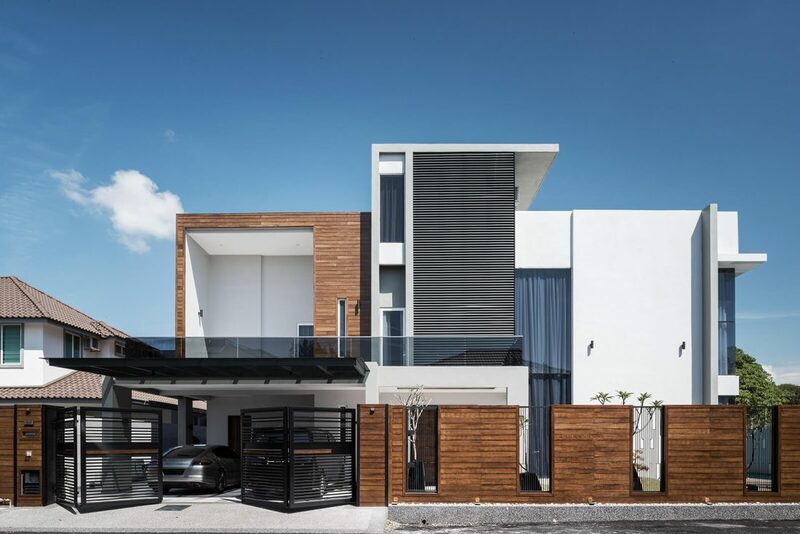 All of these facets come together in a vibrant design and setting for HAUS 57.